Life can be like a roller coaster if you suffer from panic attacks, but you have a high chance of success in overcoming panic attacks and high anxiety if you seek help from a psychologist. 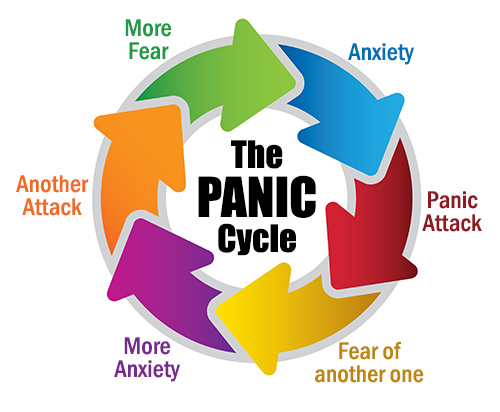 Effective treatment of panic attacks is one of psychology’s success stories. Your chances of recovery are very good. Psychological treatment methods will give you a new understanding of the real cause of panic attacks and a high chance of long-term successful results. Learn how your present approach to managing anxiety may be making the problem worse, not better. Learn how to escape the anxiety trap. Control your symptoms with breathing techniques. Desensitise your anxiety by following a professionally designed desensitisation program. Learn new strategies for controlling symptoms. Overcome your worst fears – slowly and completely. At Rose Park and Westbourne Park Psychology, we have clinical psychologists trained in the best way to treat panic attacks. Panic attacks happen when the body’s emergency button is being pressed continuously – the experience can be terrifying. It is one of the most unpleasant feelings that can be experienced. Feelings of extreme fear and dread may strike with no warning and for no apparent reason. All of our psychologists have excellent training in treatment programs that are effective in treating panic and high anxiety. Most people can over come their anxiety problems in 6 – 10 sessions. Some people with long established problems of anxiety may need more sessions. An additional option could be to join our Mindfulness Meditation Group for adults or adolescents. Whilst is it not a replacement for an individual treatment program, you will learn techniques that you can use for your benefit in the long term. There is a Medicare rebate for group attendance that is additional to the rebates for individual sessions.